Just like many companies built on the reputation gained from producing a consistent, reliable, quality product, Cobb Lumber Construction Supplies & Services has expanded. Customers who know to whom they can turn when it’s time to order wood fencing can take advantage of nails, safety gear, hardware, battery testers, and pneumatic air hoses. Those who find great quality and excellent service when they receive a big shipment of timber pilings don’t hesitate to pick up some other items, like power tools, floating dock kits or locksets. If you see something in our online catalog, we hope you’ll go right ahead and place an order. You don’t have to be a big customer who’s just requested a large order of erosion control products. No, if all you want is an alarm clock or a box of nails, great! If you’ve explored our website and shopped our catalog, you have a pretty good idea of what we sell, silt fence supply to wood fence post. We hope you’ll contact us if you have questions. 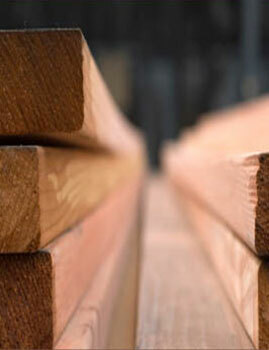 You can call us toll free, send an email at cobb_lumber@sbcglobal.net, or Get a Quote. Read more about wood utility poles. Just fill in some basic information and we’ll let you know what we can do for you. With not much more than essential like your email address, your location, and the number and item description of the products you wish to learn more about, you can get a good idea of what it will cost. If you have other questions or concerns, just fill out the “All Other Inquiries” section of the form, and we’ll address that too. Whether you need a big order of corral and corner posts to go with your newly constructed stable, or you need some wood fencing for the perimeter of a big lot, call Cobb Lumber. If all you need is a pneumatic flooring nailer or just one wood fence post, let us know. Either way, we’ll take your order and payment information and complete your order in no time. Since 1978, we’ve been doing all we can to support our industrial, commercial, and residential customers, and we can do the same for you.